Thank you Pet Product News for the recognition! Click here to read the complete article on Pet Product News. Click here to read Weight Management Pet Tips With Dr. Donna Spector. The phone rings, and I answer it with an admittedly impatient voice since someone sold my phone number to a marketer and I’ve been getting deluged with spam calls all week. I have the phone in one hand and Brody’s tail in the other, as he chewed up his bandage when I wasn’t looking and now I have to re-wrap the whole thing. It’s Chaplain Gary this time, calling as he does, every few months, to see how I am doing. I met him once, when he came to the house to talk to the kids when my mom was sick and give them a book. They sat looking at their hands, not sure what they were supposed to say to the stranger who was trying to get them to open up about their fears. “I just was wondering how you guys were doing with the anniversary coming up,” he says. Ah yes, Easter, the last holiday we shared together as a family, the week before my mom’s seizure changed everything and brought our charmed existence to a screeching halt. “Fine,” I say, “We’re hanging in.” Brody forgets his distress over his tail and puts his head in my lap, sensing the tension in my voice. The chaplain calls because it is his job, and I am grateful he is there, but he’s not the one I want to talk to. He cares, but he doesn’t know me. When I see a butterfly zip by out of the corner of my eye and I’m hit with a wave of sadness, I want to talk to my sister. When I wake up from a dream where I’ve been out with my mom doing the little mundane things we always used to do- grabbing a Starbucks, pawing through the racks at Marshalls for a deal, I want my husband to hold me when I explain why I woke up crying. When I greet my Dad on Sundays and we both look at each other a little lost, I want Brody to come up and bully him into giving him treats, because that’s one of the few consistent ways to get a smile. Grief is a family affair, and we’ve completely forgotten how to do that as a society. When I started with Paws into Grace, I thought it was such a great boon to offer people a comprehensive list of pet loss support groups, counselors, social workers, psychiatrists. Don’t get me wrong, it is a good thing, but I was naively surprised when people almost universally declined to use their services. They are there to fill the void of a support system we no longer have and to help those in crisis, but it doesn’t replace our innate desire to turn inward during these times, to those close to us. I gave a talk last year at a hospice conference about grief around the world, and one universal commonality was the ritual of community, surrounding families like a cocoon as they healed, giving structure and a safe place surrounded by friends to fall apart and, slowly, rebuild. Most important of all, the cocoon, the safe space, comes to the family- not the other way around. It takes a lot of energy to be sad, and who wants to do that in a strange place like a church basement, surrounded by other strangers, when you could be at home in a Snuggie close to the coffee pot and your dog. I was at Western Vet Conference this week, and I ran into my friend Bill, who even in a rush to get to his upcoming afternoon of talks took a moment to say, “I’ve been thinking of you.” That meant more to me than 50 calls from the stranger chaplain. This is how it’s supposed to work, right? When someone near to us loses a loved one, it seems these days that our instinct is to run away instead of to them. It is, I think, because we’re scared, we don’t know what to do, and no one has taught us how to scrape someone off the pavement. We don’t want them to know we’ve seen them upset. As always, I keep trying to file these tidbits away into something useful for my own work, and in this case it’s dawned on me that it’s not the person who lost a pet who needs the guidance, but their family and friends. It’s a work in progress but it feels right, just as it’s a reminder to me how to be a better friend. I know 3 friends who lost a parent this year, and countless more who lost other beloved pets and family members. One little note from a friend, a Facebook message or a mailed card, means more than 50 calls from a stranger. This is something we can all do well to remember. Got some nice footage of some deer on the trail camera this week. There is a major deer bedding area under the red oaks on the opposite ridge. Last weekend, I spooked twelve of them off their beds. These are heavily pressured deer, so it’s pretty hard to get decent photos and film of them without using trail cameras. I try, of course, but you’ll never get closeups like the one in the top video with a regular camera! 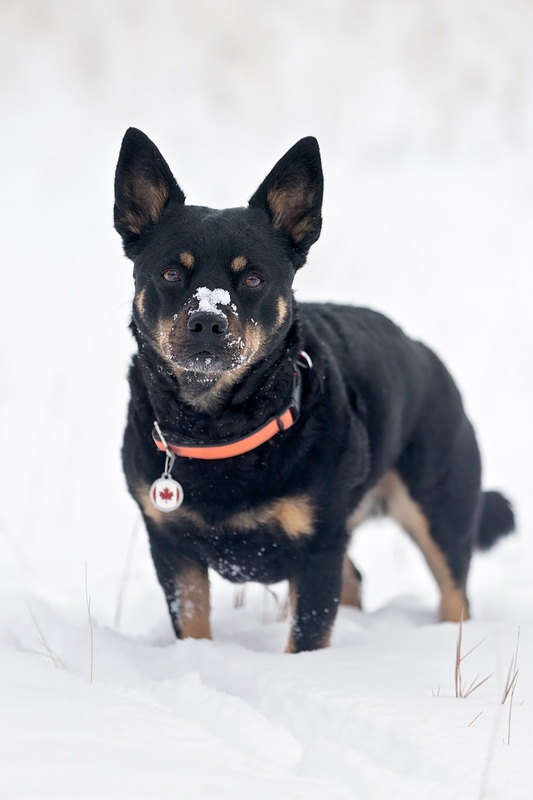 TRACIE HOTCHNER: GET A CO MONITOR FOR YOUR PET’S SAKE – IF YOU HAVEN’T DONE IT FOR YOURSELF! It never hurts to repeat a safety message, especially when it pertains to dangers to our pets. You don’t necessarily think about carbon monoxide, the deadly odorless gas that can come from a malfunctioning space heater, but it can kill everyone in your house. A year ago I wrote about the serious need for a CO monitor in your house or apartment – you should have one right along with a smoke detector. If you didn’t read this before, or don’t remember it, here’s the chance to refresh your memory and also tell at least three other people to get a CO monitor. Then they will tell three other people and a community effort at passing along the warning may ensure that no human or pet lives will be tragically lost. Tracie began her fascination with dogs and cats by turning her eye as a former investigative reporter on every aspect of living with them, resulting in her encyclopedic resources THE DOG BIBLE: Everything Your Dog Wants You to Know and then the THE CAT BIBLE: Everything Your Cat Expects You to Know. Before long, Tracie was established as a leading pet wellness advocate as her all-encompassing books covered everything from medical issues to behavior, nutrition and environmental enrichment. Tracie began her career as a radio personality with a live show – DOG TALK® (and Kitties, Too!) – on the local NPR station in the Hamptons, Peconic Public Broadcasting (WPPB) from Southampton, New York (the show is now also carried on the NPR station Robinhood Radio in Connecticut and the Berkshires). DOG TALK® won a Gracie® Award (the radio equivalent of an Oscar) in 2010 as the “Best entertainment and information program on local public radio” and continues weekly after more than 450 continuous shows and 9 years on the air. Tracie’s live weekly call-in show CAT CHAT® was on SiriusXM satellite radio for seven years until the Martha Stewart channel was canceled in 2013. 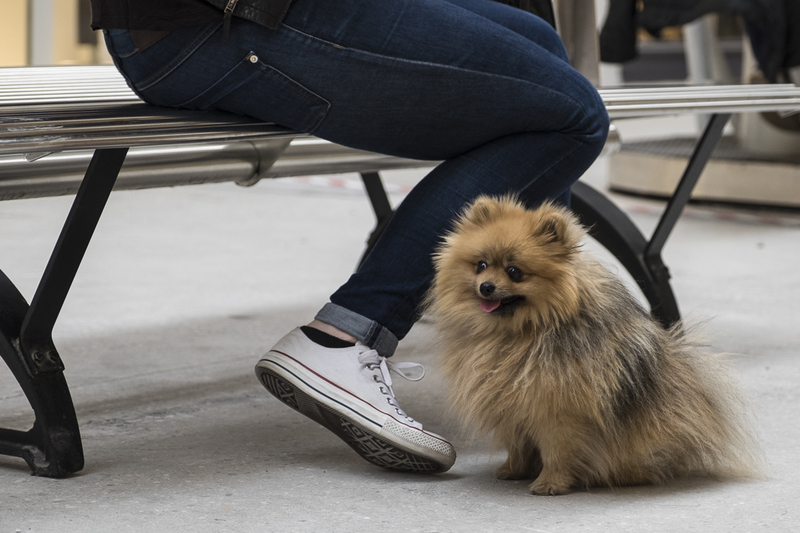 This beyond cute Pomeranian was waiting patiently for her owner to take her home. She’s at Cap 3000, a massive shopping centre at Saint Laurent du Var, just beyond Nice.